We went to Washington, DC over the kids’ Spring Break as a quick day trip. I didn’t plan the week off with them but I was able to take one day off. It was during the week and commuter traffic in Washington, DC can be crazy! We knew we didn’t want to be part of that so I decided we were going to take the VRE (Virginia Railway Express). The VRE is a commuter rail that has two lines that run from Virginia to DC. The last stop used to be in Fredericksburg out near where I grew up on Fredericksburg line. I had ridden the VRE up to DC several times as a kid but never as an adult but now that they have so much information online it was way easier to plan this trip. It is a commuter train so the last train out is still EARLY in the morning. The earlier times on the way home will have more seats since they fill up as people get off work. Trains can run late for various reasons (other trains in the way, tracks get too hot in the summer, flooding, etc.) Accept it and just be happy you aren’t stuck on I-95. There are quiet cars. Don’t take the kids in the quiet cars. There are new train cars and old train cars and seat configurations are different in them. Next time we will try out the ticket app. This time we just bought paper tickets at the ticket vending machine at the train stop. While we were in Washington, DC we saw several people we know from the Charlottesville area post on social media about their travel issues. One was stuck on I-66 in the commuter traffic. Another was trying to find parking in Washington, DC. We didn’t haven’t deal with either of those issues and already spent time being tourists up there while they were still trying to get there or park! Maybe next time they will get up early and take the VRE too! 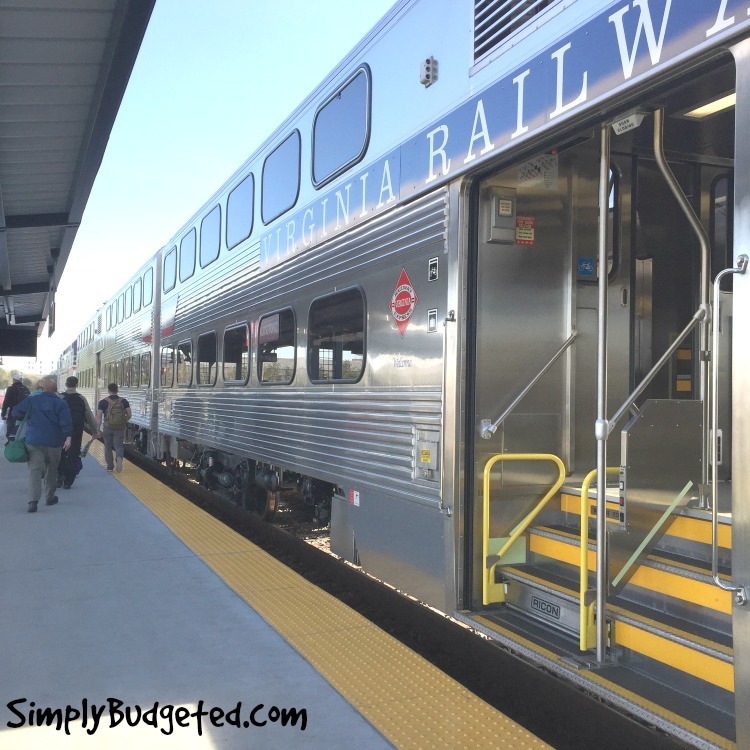 Have you ever travel as a tourist on a commuter train? We had a great experience even with the 30 minute delay on the way home and are looking forward to another train ride during summer break. I will share soon about what we visited in Washington DC and what is next on our list!